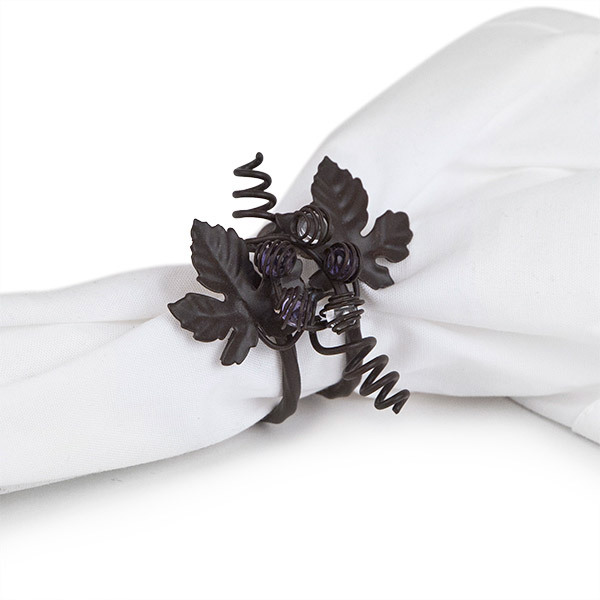 These Cork Cage® styled napkin rings made great table accents. 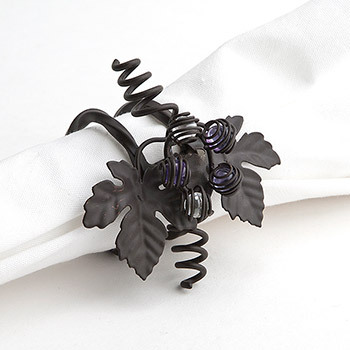 They feature the same intricately sculpted metal work, patina finish with light purple and clear glass beads entwined within the vines. Acrylic Fluted Champagne Glass / 6oz. Acrylic Wine Glass / 14 oz.